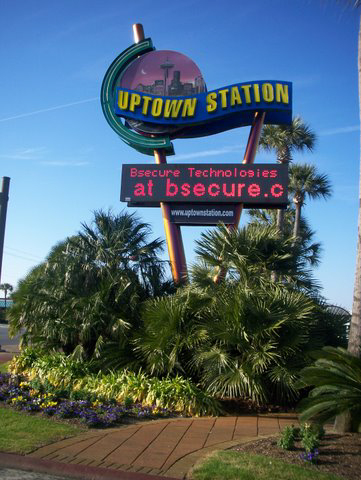 Every month here at Uptown Station we change the reader board located on Eglin Parkway, across from Walter Martin, to promote our tenants and their sales, promotions or events; along many other things. We are more than delighted to bring this service to our tenants but in order to do this we need information from you, our tenant. Below you will find a form, please fill it out and submit it back to the Uptown Station Marketing Department. Please make sure to have the form turned back in to us 7 days prior to the 1st of each month. If your submission is time sensitive make sure to specify the date on each message. An example would be a weekend sale. In order to read your message legibly please try to make each message is no longer than 5 words, this does not include the name of the business.